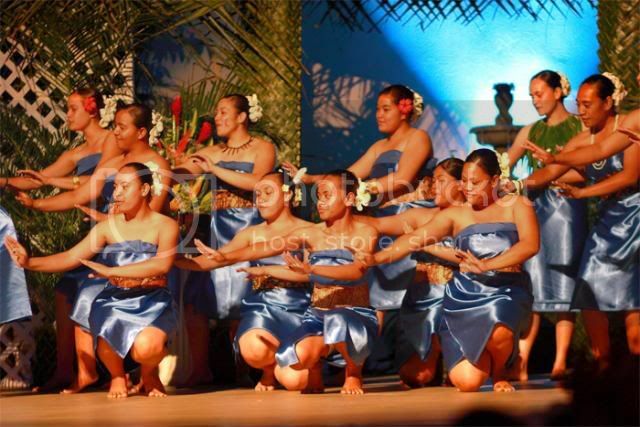 All About Hawaii & Pacific Island Pageants! Aloha! 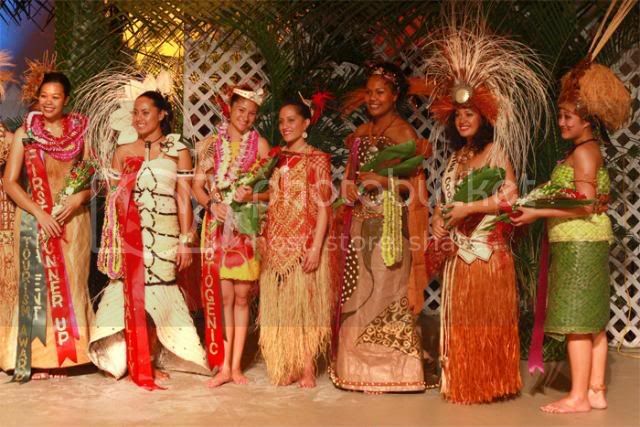 This board was created to respond to a need for MODERATED message board discussion on pageants in Hawaii, as well as the other Pacific islands. We welcome varied opinions, reviews, and pictures as long as the poster is polite in their expression. Any hurtful, libelous, or rude posts/comments will not be approved and/or will be removed. We will be covering any teen, miss, mrs/ms, or male competitions in Hawaii. Directors are welcomed & encouraged to post recruitment & ticket information for their pageants. We will NOT be covering children's pageants. Any announcements concerning children's pageants will not be approved, although if your pageant has a teen, miss, mrs./ms., male division, posts concerning those divisions will be accepted. We want this to be a place where fans, potential contestants, directors, & the entire Hawaii pageant community can respectfully share information & have a fun exchange of ideas as well. This is a MODERATED board and post will not appear until they have been approved by the moderators. Mrs. Hawaii was AMAZING and placed 2nd Runner Up! Best of luck to the 29 women competing for the title of Miss Hawaii-America on May 30th at the Hawaii Convention Center. The winner will represent the Aloha State at The Miss America Pageant in Atlantic City, New Jersey. Last edited by author: Sat May 30, 2015 17:10:16 Edited 1 time. Find out who will represent the Aloha State at the next Mrs. America Pageant, when Mrs. Hawaii is selected on May 31st, 5p.m., at the Blaisdell Pikake Room. Contact diector Luana Alapa on facebook for ticket information. Tiki Java congratulates Lia Jamerson, Miss Black Hawaii U.S. Ambassador for 2015. Lia will participate in the national Miss Black U.S. Ambassador Scholarship Pageant On June 27th, at Georgia State University in Atlanta. 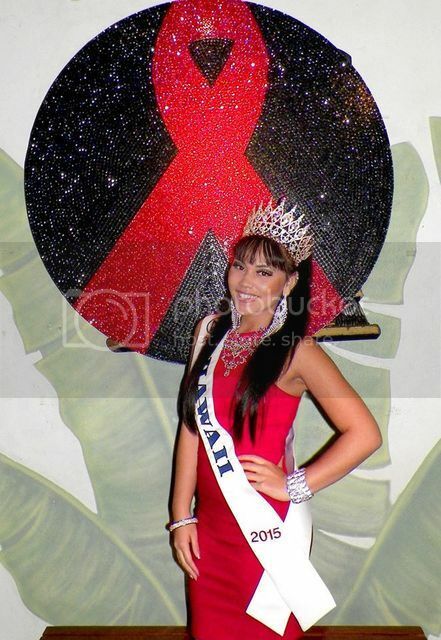 Tiki Java congratulates Samantha Iha-Preece, Miss Hawaii World for 2015. Samantha will compete with delegates from around the nation on July 3rd in Washington, D.C. for the title of Miss World America and the opportunity to represent the United States at the Miss World Pageant. Subject: Miss Hawaii USA 2015 recruiting & Walking Workshop! You may cheer on Miss Hawaii Teen USA samantha Neyland as she competes for Miss Teen USA in The Bahamas LIVE! Watch the webstream at link below. Saturday, June 8th is the day, 7pm the time, & the Hawaii Convention Center is the place. These are the 17 contestants who have won their local titles and will be competing in the Miss Hawaii Scholarship Pageant & the trip to Atlantic City's Miss America Pageant. The pageant will also be broadcast live on Oct16 tv. After competing in swimsuit, evening gown, talent & on-stage questions, who will take the crown? Subject: Miss Hawaii U.S.A. video up! Brianna Acosta ready to depart for Las Vegas for Miss U.S.A. 2013. PLEASE remember our next meeting is this SUNDAY July 29 Th. at 10:00. We will meet at 2 COUTURE and we will finish at 12:00. A remarkable guest speeker Mr. David Rolf. We will review the walking patterns and address any questions. See you !!!!!!!!!!!!!!!!! The photo shoot for the program book was this past weekend & here's a preview of our 2013 Miss Hawaii USA entrants! Subject: Miss Teen USA is just around the corner! Who are your faves for the crown? Visit the MISS TEEN USA MESSAGE FORUM and join the celebration! Are you an aspiring pageant titleholder with a passion for the environment? Do you have ideas about the �green� elements of a platform issue or cause about which you are already passionate? If so, the 2012 United States Earth Pageants may be the competition for you! Miss Earth United States is the USA preliminary to Miss Earth 2012 is slated to be held this October in Jakarta, Indonesia. And, Miss Teen Earth United States, also crowned during this competition, is the perfect developmental competition for the young woman who dreams of ultimately representing the USA at Miss Earth in the near future. Note: Talent is NOT a mandatory phase of competition for the United States Earth Pageants. Our 2012 national competition will be held from August 6-8 in the Carolina Theater of the Carowinds theme park outside Charlotte, NC. Your entry fee includes: Opening Number Ensemble, Competition Swimsuit and Competition Swimsuit Shoes, as well as lodging and meals while in the Charlotte, NC, area for the pageant. Follow in the footsteps of nationally-recognized young women in pageantry like: Amanda Kimmel, Amanda Pennekamp, Lisa Forbes, Jana Murrell, Amy Diaz and Danielle Bounds, who have all represented the USA at the Miss Earth competition. Contact director@earthpageantproductions.com today for an application! Come on down to Rumours at The Ala Moana Hotel May 3, 5:30-8:30pm to express best wishes to our beautiful Miss Hawaii USA, Brandie Cazimero, as she prepares to depart for Las Vegas and the 2012 Miss USA Pageant! Subject: 2013 Miss Hawaii USA & Miss Hawaii Teen USA Pageant announced. Any Hawaii ladies out there interested in competing...2Couture will present the 2013 Miss Hawaii USA & Miss Hawaii Teen USA Pageant, returning to the Ala Moana Hotel, Honolulu, on October 21st, Sunday. Entry fee is $450, same as last year. The first meeting/orientation is Saturday, APRIL 7th, at 10 a.m. at the Ala Moana Hotel. Please contact Eric Chandler for further details 1-808-372-2222 or christmaseric@lava.net. 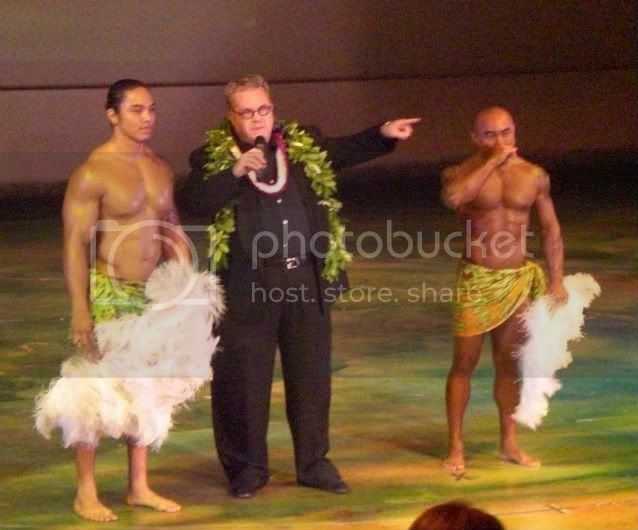 We congratulate Patrick Pintor on his victory at the Mister Hawaii Contest! Best wishes for a great year! Congratulations to our new Miss Hawaii Teen USA, Kathryn Teruya! A great job by all the beautiful teens! Congratulations to our NEW titleholders & best wishes for a FANTASTIC year! In their last appearance before the Nov. 13th pageant..the 2012 Miss Hawaii USA & Miss Hawaii Teen USA contestants. Last edited by author: Mon October 10, 2011 04:47:48 Edited 1 time. We are looking for a Hawaii representative for the Miss U.S. International pageant. Are you 17-25, single and want to compete in Orlando next summer for the national pageant? If you are interested in being a state director, we are looking for one for Hawaii. Along with the Hawaii's Most Beautiful Man 2012 Contest, the Miss Hawaii USA & Miss Hawaii Teen USA 2012 entrants made their first public appearance at the Hawaii Woman Expo. Congratulations to Kauai's Shane Jones on his victory at the Hawaii's Most Beautiful Man 2012 Contest at the Hawaii Woman Expo! Subject: Hawaii's Most Beautiful Man Contest & Miss Hawaii USA/Miss Hawaii Teen USA Contestants! Join us at the Neal Blaisdell Exhibition Hall for the Hawaii Woman Expo as 2Couture presents the HAWAII'S MOST BEAUTIFUL MAN competition! 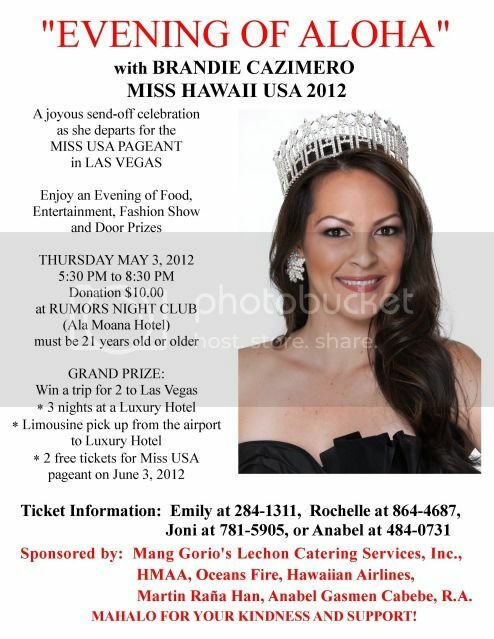 Preceeding the contest will be a fashion show featuring the 2012 Miss Hawaii USA & Miss Hawaii Teen USA contestants! The ladies will be modeling their beautiful dresses plus will appear in swimsuits! The gentleman will compete in aloha wear, swim wear & date wear! 1:00 Miss Hawaii USA/Miss Hawaii Teen USA Fashion Show! (Call time for all contestants, male & female, is 12 noon. Sunday, Oct. 9th at 12:30 pm. Saturday, Oct. 29th at 3:00 pm. The ladies will be modelling their beautiful dresses and answering and on-stage question. Select your early favorite! we hope to see you there! Last edited by author: Tue August 30, 2011 15:23:33 Edited 1 time. Subject: First Look at Miss Hawaii USA/Miss Hawaii Teen USA 2012 Contestants! The program photo shoot was this weekend, and here's a first glimpse of the ladies ompeting for the two titles. A reminder to all of the ladies: The official photo shoot for the program book will take place at 2Couture this Saturday starting at 9 a.m until 12 noon. It is FIRST COME, FIRST SERVED...hair & make-up ready, and don't forget to bring your SWIMSUIT! It does not have to be your competition swimsuit. There will be a training session at 10 am this Saturday, Aug 20th at the 2Couture office. This will be on runway walk and also possibly drawing numbers fo rthe order of competition. Paperwork may also be turned in at this time. The Miss Hawaii USA/Miss Hawaii Teen USA/Mister Hawaii 2012 Pageant will be held Sunday, November 13th at the Ala Moana Hotel Ballroom at 5:00 pm. Food will also be available for those wishing to eat during the show. The ticket price, $50, will include an after-party at Rumours. It's NOT TOO LATE to enter the pageant! Please contact 2Couture at www.misshawaiiusa.com, 2Couture@lava.net, or 808-538-6690. Congratulations to Angela Byrd, the new Miss Hawaii USA and to ALL the beautiful ladies! You're all winners. Subject: Miss Hawaii Teen USA 2011 Pageant! Congratulations to Courtney Coleman, our new teen winner! Last chance to see the contestants before the pageant: Sat, Oct 30th, Ala Moana Center Stage, 12 NOON. THe ladies will be wearing their opening number dresses, modeling & answering an on-stage question. The PAGEANT will be held at the Dole Cannery Ballroom, Sat., Nov 6 at 7:00 pm. Doors open at 5:00 p.m. Here's the final contestant line-up! Last edited by author: Fri October 29, 2010 15:16:46 Edited 1 time. I am starting a website for consignment pageant gowns, swimsuits, interview suits, shoes, jewelry, etc. (much like pageant resale). Since it is new, I am trying to get some inventory to put up!! The first of 3 public appearances at island shopping malls. The teens & miss answer on-stage questions. And, I do believe it was the very first time NOT ONE contestant tried to grab the microphone...:) Brava, ladies! Up next, Kahala Mall, then Ala Moana Center, then the Nov. 6 pageant at Dole Cannery Ballroom! Please join us at the following locations to see the beautiful ladies competing for the two titles. They'll be walking the runway & answering on-stage questions in preperation for the final pageant. Get a chance to chhose your early favorite & cheer them on! The ladies dressed for the red carpet for an afternoon at Chai's Island Bistro & sunset & photos at Trump Tower in Waikiki. The filming is for "808 State" a local tv show featuring Hawaii events on KHON 2, Sundays 4:30pm...featuring several installments of the ladies leading up to the pageant Nov. 6. Meet the Miss HI USA & Miss HI Teen USA 2011 contestants"
The first public appearance of the 2011 Miss Hawaii USA & Miss Hawaii Teen USA contestants. The search is on for Miss Motor Speedway� 2011 ( ages 19-27) and Miss Teen Motor Speedway� 2011 (ages 14-18). Miss/Teen Motor Speedway titleholders will make appearances to select races/events throughout the United States (all expenses paid in full). She will volunteer and make appearances for various motorsports charities during her reign. 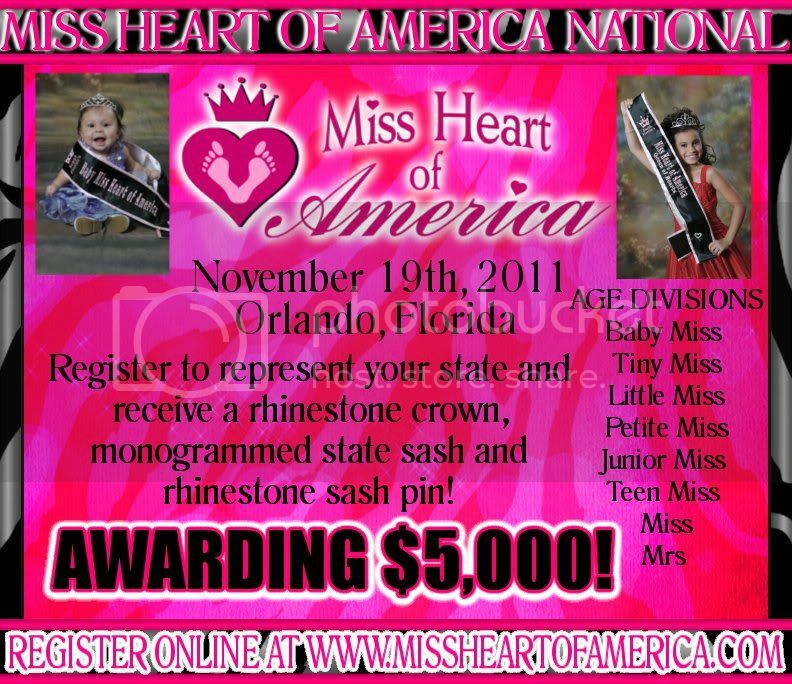 Represent your state at the national 2011 Miss Motor Speedway Pageant� and Miss Teen Motor Speedway Pageant�. National winners will win an all expense paid trip to NYC for a photo shoot with Fadil Berisha and more additional prizes. Meet our teen & miss contestants as they experience Iwalani Tseu's Honouliuli Healing Garden. Meet the men competing for the title! A fashion show featuring the Miss Hawaii USA & Miss Hawaii Teen USA contestants will precede the men's contest. See it all at the Hawaii Woman Expo, Sat. Sept. 11th at the Blaisdell Expo Hall. Do you want to represent the USA at Miss International? We are now taking entries for the 2011 pageant event! is the deadline to enter! STATE DIRECTORS! We are looking for YOU! Low national entry fee and no added on requirements, this is a straight beauty pageant. Make money while doing something you LOVE! We provide a professional quality marketing packet to help you succeed! If your state is grayed out, there is currently a state director in place. You do not have to live in the state you direct for. 5 age divisions: Preteen - Mrs.
Over $25,000 in cash and prizes! On Sunday, June 27th, some of the contestans gathered at a beautiful beach house in Lani Kai for a workshop...interview, physical fitness, and video taping hints were shared. Here's your first peak at some of the lovely ladies in this years pageant! Next up...a make-up & hair workshop at a Chinatown art gallery! Last edited by author: Sat July 03, 2010 15:44:03 Edited 1 time. Naiomie Santos won the recent Miss Guam Earth Pageant. She will now go on to represent the lovely island of Guam at the 2010 Miss Earth Pageant in Vietnam! Congratulations to Vanessa Torres who will represents the paradise isle of Guam at the 2010 Miss Universe Pageant in Las Vegas! Here's Lucie Wilson who recently became Miss Tahiti & will compete for the title of Mis France, in a competition in Hawaii..Miss Porotu. She is contestant #1. 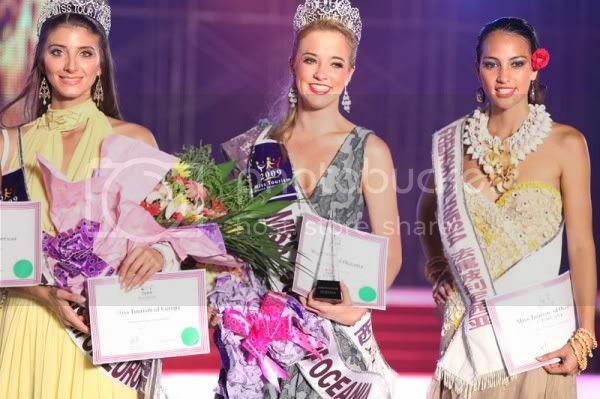 Contestant #1 Lucie Wilson recently was crowned Miss Tahiti & will compete in the Miss France Pageant. 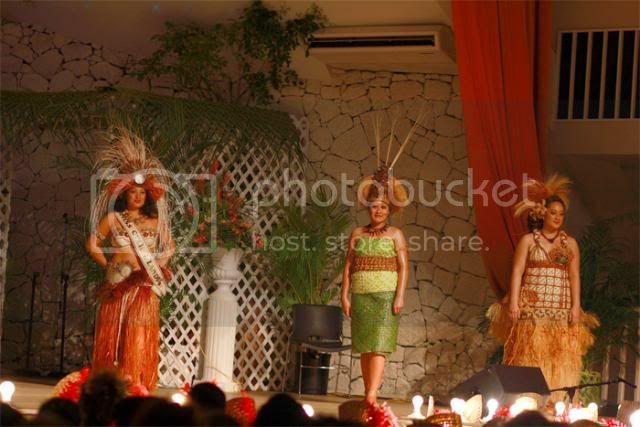 A pageant to select the Niue Island community representative in New Zealand at the Miss Niue Pageant, the winner of which advances to Miss South Pacific. If you or someone you know wants to give it a shot...SIGN UP TODAY! Congratulations to our 2008 winner, Hudson Taylor, who will be walking the runway for Givenchy in the upcoming Paris fashion week! Way to go, Hudson! Congratulations to all the winners of the Miss Hawaii Scholarship Pageant held June 12th at the Hawaii Convention Center. The new winne will represent Hawaii well at the Miss America Pageant! Renee Nobriga, Miss Hawaii USA, represented our state beautifully at the recent Miss USA Pageant in Las Vegas. Here are a few photos from her time there, including some pictures from the final dress rehersal where she made top 10. Subject: More Miss USA pictures of Renee Nobriga. Subject: Recruiting for 2011 titles! We are now selecting contestants to participate in this year�s Miss Hawaii USA� andMiss Hawaii Teen USA� state pageant, the official preliminaries to the prestigious MISS USA� and MISS TEEN USA� pageants. Subject: Will Guam Or any of the pacific islands be @ MU 2010 ? [> Subject: Re: Will Guam Or any of the pacific islands be @ MU 2010 ? A fashion preview & send off for Renee Nobriga as she leaves for Las Vegas to compete for the title of Miss USA 2010! Go Renee! Miss Hawaii USA Renee Nobriga feature cover story on Honolulu's Mid Week Magazine..as she prepares to compete in Las Vegas for Miss USA 2010. Subject: True Beauty Rocks Vegas! Join us for a great day of shopping for all of your pageant needs! Join our Runway Host, Valerie Hayes of Pageant Talk Radio as we introduce some of the latest fashions and all of the 2010 Miss Teen USA contestants!! Admission is $10 cash payable at the door. Then join us as the fun continues! Have your chance to meet 2009 Miss Universe, 2009 Miss Teen USA, 2010 Miss Bahamas Universe, 2010 Miss Puerto Rico Universe, and many other national and international titleholders! Do you know if any former or current miss. hawaii's will be modeling at the hawaii expo? Renee Nobriga, Miss Hawaii USA 2010 on the cover of the 3/22 This Week Oahu Magazine, a Honolulu visitor publication. Looking great as she prepares for Mis USA! Renee Nobriga, as she prepares to compete at Miss USA. Leilani Soon, will represent Hawaii at the Miss Chinatown USA Pageant Feb. 20th in San Francisco. She is wearing her competition Chinese dress created by 2Couture. Miss Hawaii USA - Kellene Chun. I just think this girl is gorgeous!!! First Runner Up - Renee Nobriga. She was my top pick the past two years and I'd really love to see her walk away with the crown...but for now I'm giving Kellene the edge based on the face. Second Runner Up - Kawena Chun. Very alluring. I love her personality. Third Runner Up - Marissa Petsas. A promising new-comer. Very pretty. Fourth Runner Up - Hannah Thomas. Glad to see a recent Teen titleholder take a crack at the Miss title. Miss Hawaii Teen USA - Tayler Inafuku. Soooo cute! Epitomizes what a Teen titleholder should be. First Runner Up - Cerisa Marchan. She can work the stage and I'm fairly certain she'll rock an amazing gown like she did last year! Plus, that face! Second Runner Up - Julianne Chu. Such a unique beauty...I just wish she had better stage presence!!! that's the only ones I really care for! [> Subject: Re: My Top Picks. The song's title is "touch my hand" i believe. Hopefully you've already found it tho. Local Crown & Banner, Opening Number Cocktail Dress & 1950�s Style Swimwear, Some meals, Excursions & more included in entry fee! Modeling or Pageant Experience is a PLUS but Not Necessary! Subject: New Miss South Pacific for 2009! Congratulations to the new Miss South Pacific 2009 - Miss Fiji Islands. 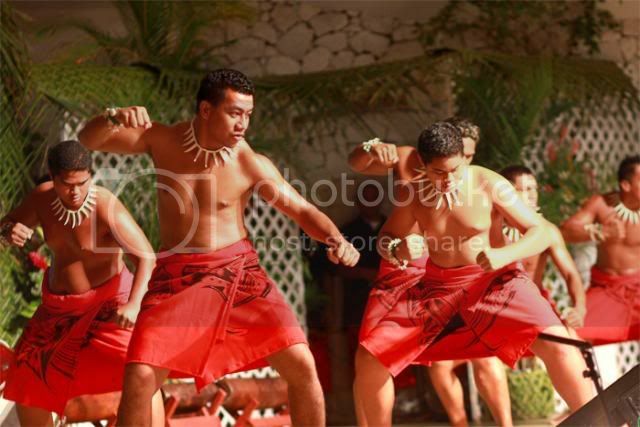 The pageant was held at the conclusion of a Pacific Festival at Albert Park, Fiji. 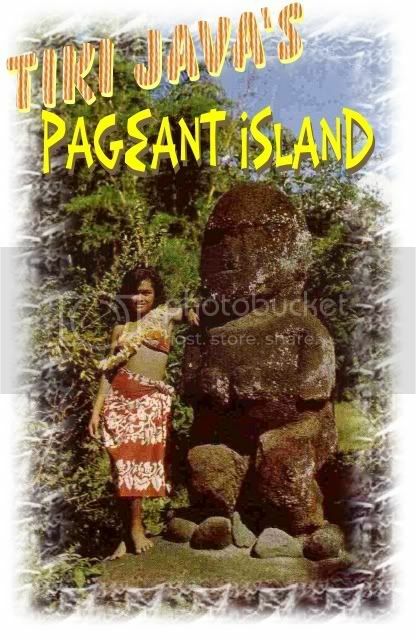 12 Pacific island beauties from around Oceania competed for the crown. More pictures/video forthcoming as available. Miss Hawaii USA 2010, Renee Nobriga, at various appearances including the holiday lighting ceremony at Waikiki's Hyatt Regency Hotel. With University of Hawaii athletes & cheerleaders. With Hawaiian recording group Na Leo. With Hawaii Governor Linda Lingle. Subject: HAPPY HOLIDAYS, HAWAIIAN PAGEANT FANS!!! Where are some of the BEST displays of Christmas lights in Hawaii? Here's your chance to brag about your very own little corner of Hawaii! Click on the following link to listen to some of your favorite Christmas songs! Gorgeous Teen Winner......Good luck Julianne and Directors. 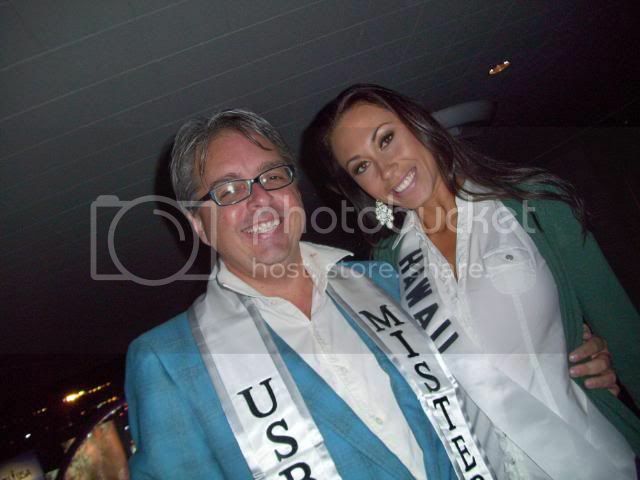 Subject: Congratulations to Miss Hawaii USA 2010 Renee Nobriga! You are a stunning represenative of Hawaii and our aloha spirit. You are beautiful inside and out. You will have a fantastic year and will be such a positive role model for our youth. Great job and you deserve it! Great job to Eric and Takeo too...your support and guidence for all the contestants makes the pagent a wonderful experience for all involved. Aloha to you all and especially to Miss Hawaii USA 2010 Renee Mokihana Nobriga!!!!!!!!! Subject: Who was the designer of the red dress Miss Hawaii USA 2009 wore at Miss USA? [> Subject: It was designed by 2Couture, the Miss Hawaii USA franchise holders. Miss Hawaii USA & Miss Hawaii Teen USA 2010 contestants at the beautiful Royal Hawaiian Center courtyard. The pageants will be held at the Royal Hawaiian Center Theater on the 4th floor of this exotic retail & entertainment complex! Top row (l-r): 1) Hannah Thomas (M), 2) Collette Erico (M), 3) Alana Paulo-Tamashiro (M), 4) Christina Marshall (M), 5) Julia Sandborn (M), 6) Topaz Fernandez (T). A beautiful poster of all our Hawaii USA contestants that will be on sale at the Samoan tsunami findraiser, Thursday the 22, 7p.m. at Peal nightclub, Ala Moana. Admission is free. A special evening will be held at Pearl nighclub at Ala Moana Center. You will be able to mix & mingle with our Miss Hawaii USA 2010 contestants, as well as at the teen contestants who will be there in support. This is a fund raiser for Samoan tsunami relief. $1 votes for Miss Popularity will be taken, there will be autographed pictures and posters of the contestants for sale. At 8:00 p.m., a Most Beautiful Legs contest will be held among our Miss contestants. The ladies will appear on-stage, hidden behind umbrellas, and a panel of judges will select the contestant with the most beautiful legs. We hope to see you there at a fun evening that will help out a good cause! This is the final meeting before the pageant for Miss Hawaii USA & Miss Hawaii Teen USA 2010. This is the last opportunity to turn in any paperwork, etc. There will be a stage walking workshop. We will also review walking patterns for the pageant night. Following this will be an opportunity for all contestants to do a "mock interview" in front of a mock panel of judges and to recieve feedback on your interview. Some of our contestants at their Ward Warehouse appearance! e teen contestants on Sept. 26th! Chanel got married? What has she been up too? [> [> Subject: I believe the poster meant Liana Green , Mrs. Hawaii was previously 1st runner-up to Chanel Wise. >Chanel got married? What has she been up too? Here's your chance to see the outstanding young women competing for the two titles BEFORE the big pageants! They'll be wearing their Polynesian inspired sun dresses & answering an on stage question...come select your early favorites for the two crowns! Congraulations to Conner Coffin for being elected "Hawaii's Most Beautiful Man" for 2009! 1 p.m. The 2010 Miss Hawaii USA & Miss Hawaii Teen USA delegates will make their very first public appearance in a swimsuit fashion show. This is a chance to select your early favorites for the titles! at 2 p.m. 20 men will battle it out in aloha wear, swim wear, & date wear for the title of "Hawaii's Most Beautiful Man"! Presented by 2Couture. Subject: Hawaii's Most Beautiful Man Contest Approaching! The seventh annual Hawaii Woman Expo sponsored by U.S. Sewing & Bernina of Hawaii expands this season to feature the Hawaii Sewing, Quilting, Needlepoint & Crafts Show Sept. 11, 12 and 13 at Blaisdell Center Exhibition Hall. More than 200 exhibit booths providing �shopping and pampering galore� are expected at this event, as well as a special presentation of exquisite fashions by Takeo and Eric Chandler of 2Couture, plus Hawaii�s Most Beautiful Man Contest (also sponsored by 2Couture). I had the pleasure of serving as one of the judges at last year�s Hawaii�s Most Beautiful Man Contest, which was won by Hudson Taylor. It was a tough job, I know, but somebody had to do it, right? Taylor, 20, entered the contest at the urging of his girlfriend Serena Karnagy, a former Miss Hawaii Teen USA. A 2007 graduate of Word of Life Academy, Taylor is a model/actor and decathlete. He recently returned from Japan where he filmed a commercial for Panasonic and will be in the upcoming film You May Not Kiss The Bride, in which he plays Tia Carrere�s boyfriend. Now he hopes to add the Olympics to his resume, specifically a gold medal in the decathlon. To stay in shape, Taylor says he works out at the gym five times a week and likes to do a lot of explosive drills, such as jumping and sprinting. He also tries to stay away from fast food. The Hawaii Woman Expo runs from 5 to 10 p.m. Sept. 11, and from 10 a.m. to 6 p.m. Sept. 12 and 13. Admission is $3, free for children age 7 and under. For more information, visit www.hawaiiwomanexpo.com. [> Subject: Re: Hawaii's Most Beautiful Man Contest Approaching! 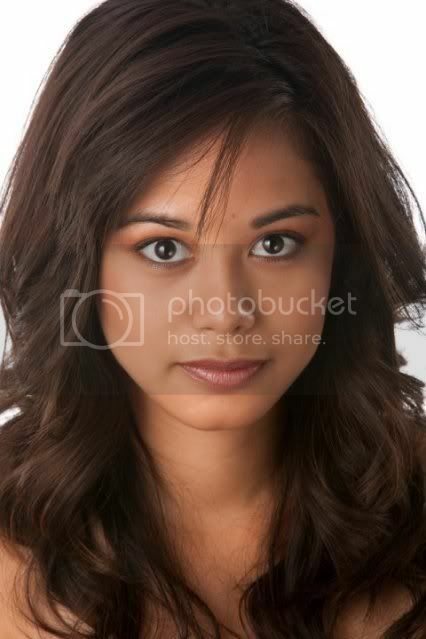 a) Have been a contestant in the 2010 Miss Hawaii USA or Miss Hawaii Teen USA Pageant. b) Meet University admissions requirements. c) Apply as (and remain continuously enrolled) a full-time semester, undergraduate residential student in good academic and social standing. d) Be a new undergraduate resident, freshman or transfer student for the upcoming academic year, not previously contacted by Lindenwood University. e) Complete a financial aid application or provide necessary information to assess eligibility for federal and/or state grants. Any additional outside grants and scholarships will first replace the Lindenwood University scholarship. Any additional institutional aid must be approved by the Dean of Admissions. f) All scholarships are subject to space availability. Candidates need apply early. g) Have a letter generated to validate participation or placement in the 2010 state pageant. Subject: Tiki, do you have any pictures for Miss. hawaii usa 2006 pageant? Do you mean Radasha Hoohuli's year? IK don't have pics, but I do have dvd of the pageant. 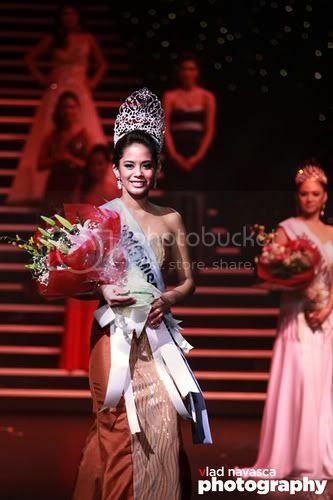 Congratulations to Miss French Polynesia, Ina Amanda Pater, who placed 4th runner-up from 100 contestants at the Miss Tourism Queen International Pageant in China! She is pictured here on the left with the other finalists from Guinea, Russia (winner), Brazil, & China. 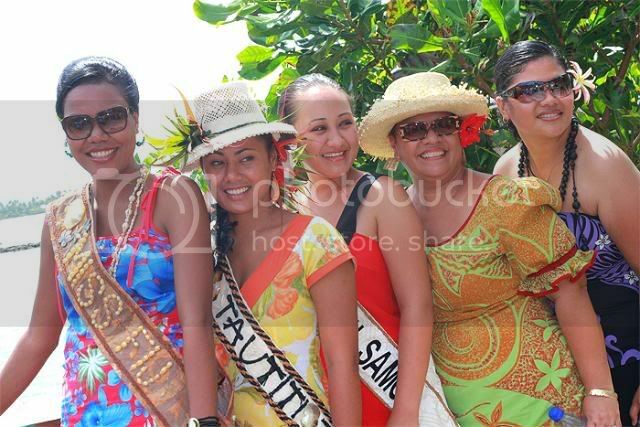 Before the finals, Miss French Polynesia placed 2nd in a special event to select "Continental" winners. Here she is on the right with "Oceania/Islands Of The World" winner New Zealand, who she later beat out in the finals. Way to go, Ina!! Good luck to Racine Manley, the beautiful Miss Guam, a she competes for the title of Miss Universe 2009 in the Bahamas on Sunday, Aug, 23 on NBC. Outside of Australia/New Zealand, Guam is the ONLY Pacific island nation represented at this years pageant...REPRESENT Racine! Ashley Moser, Miss Hawaii Teen USA 2009 competes in the preliminary gown competition of Miss Teen USA in The Bahamas. Best wishes for the finals! [> Subject: Congratulations to Ashley on being voted Miss Congeniality at Miss Teen USA!! [> Subject: That is a stunningly BEAUTIFUL pic! Thanks for sharing! Aureana Tseu, Miss Hawaii USA 2009, participating in a kimono fashion show at the Sheraton Waikiki poses with officials of the Hakubi Kimono Association and contestants in the upcoming Miss Hawaii USA pageant (Kawena Chun, Rene Nobriga, & Blake Schaeffer. Subject: Great News: Miss Teen USA 09 webcast! Go Ashley! HONOLULU, HI � July 24, 2009 � Punahou 2009 graduate Ashley Sagisi Moser will compete in the Miss Teen USA pageant on July 31, 2009. The Miss Universe Organization, Ustream and NewTek announced today that the 2009 MISS TEEN USA� Pageant will be webcast live on July 31st, 2009 from Atlantis, Paradise Island, Bahamas at 8 PM ET on www.missteenusa.com via Ustream and NewTek according to Miss Hawaii Teen USA Directors Eric Chandler and Takeo Kobayashi. Moser, 17, is the reigning 2009 Miss Hawaii Teen USA who graduated as Vice President of Barak Obama�s alma mater in June. �I was able to meet Donald Trump in Las Vegas during the Miss Teen USA Pageant and I look forward to meeting him again,� she said. In 2009, Moser was awarded the Young Women Womanhood Recognition Award in 2008. She is also a graduate of seminary class for The Church of Jesus Christ of Latter-day Saints, attending early morning seminary at 6:20 a.m. daily. Volunteer at Lunalilo Adult Day Care, Moser was actively involved in church and community organizations. She served as President the Laurel, Mia Maid, and Beehive groups for her church. She is the granddaughter of sugar plantation pioneers who migrated to Hawaii in the early 1900s and only child of Kendall and Sandra Moser of Hawaii Kai. She received a full cultural scholarship at Brigham Young University in Provo, Utah. This marks the first time the Miss Teen USA pageant will be streamed online to a worldwide audience. Ustream, the leading internet broadcasting platform, allows anyone to live stream to an online audience. Along with NewTek TriCaster, anyone can simultaneously produce, live stream, broadcast and produce a network-style production. Miss USA 2008, Crystle Stewart and host of NBC Mobile�s �Entertainment Buzz,� Seth Goldman will host the pageant which will include performances by talented rising star, singer/songwriter, Leah Renee and the hit band, Honor Society, straight from their tour opening for the Jonas Brothers. This year�s distinguished panel of judges includes: John Shea, Commercial Agent, Frontier Booking, Inc.; Mark Turner, Commercial Agent, Abrams Artists; Duane Gazi, Director of Scouting and Development, Trump Model Management; Heather Kerzner, Kerzner International, Inc.; Rhona Graff, Vice President/Assistant to the President, Trump Organization; Gillian Sheldon Heckendorf, Managing Editor, Momlogic.com; Eric McLendon, Actor and Realtor, The Corcoran Group and Eva Chen, Beauty and Health Editor, Teen Vogue. The technology provided by Ustream and NewTek will ensure that viewers receive the highest quality live streaming content and that the pageant reaches an unprecedented mass audience. Subject: Congratulations to Lori Navares Mrs. Hawaii US who just placed top 12 at Nationals tonight! Subject: Which Miss. Hawaii was the best Hula Dancer? [> Subject: Any Miss Hawaiis who studied under Auntie Maiki Aiu Lake.